Product Claims: "Our leave-in or rinse out conditioner detangles, moisturizes, repairs and restores lifeless, dry, damaged or over-processed hair. Our special blend of organic Shea Butter, nourishing Argan Oil and mineral-rich Sea Kelp is perfect for transitioning chemically treated hair to healthy natural hair. Directions: Work conditioner through hair from roots to ends. Leave on for 3 minutes, then rinse thoroughly. For deeper conditioning, leave on for up to 15 minutes. As a leave-in, work a dime-sized amount through damp hair, then style as desired. Ingredients: De-ionized water, Butyrospermum Parkii (Shea butter)*, Argan oil, coconut oil*, Behentrimonium chloride, essential oil blend, vegetable glycerin, emulsifying wax, sea kelp extract, Panthenol (vitamin B-5), avocado oil, Lonicera Caprifolium (honeysuckle) flower and Lonicera Japonica (Japanese honeysuckle) flower extract, Tocopherol (vitamin E) and Daucus Carota Sativa (carrot) seed oil. *Denotes certified organic ingredients. My Experience: I was a little leery of trying this since I had a bad experience with the deep treatment masque from this same line. My little sister (who is natural) uses it and loves it though so I decided to give it a shot and I'm so glad I did. It proved that just because you don't like one product from a certain line, doesn't mean you won't like the rest of the products in that line. Initially, I tried it as a rinse out conditioner. I really liked the way my hair felt after rinsing - soft and smooth. I always know when I like how something treats my strands when I just want to keep touching my hair and running my fingers through it. While that was great, it did not compare to what this does to my hair as a leave-in. The moisturizing effects last so much longer, for dayssss even. This is the first creamy leave-in that I have fallen in love with and now that's the only way I use it. It is the cream when I use the L.O.C. 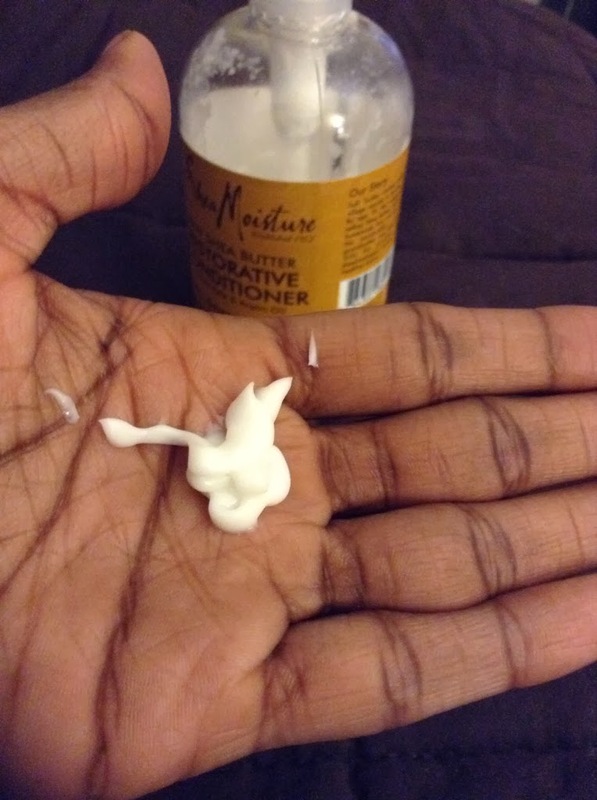 (liquid oil cream) method to moisturize and seal my hair. I also make a moisturizing mix with it either using just water or with aloe vera juice. Best creation ever. When it comes to the claims of this product, I find that it moisturizes, smooths, and even helps me finger detangle during the week. Because of the lasting moisture and smoothness, I'd say it does seal the hair. I can't really speak to the added shine from the argan oil because I can't say that I noticed my hair being MORE shiny just from the use of this product. Overall, I think it does a great job of doing what it says it will. 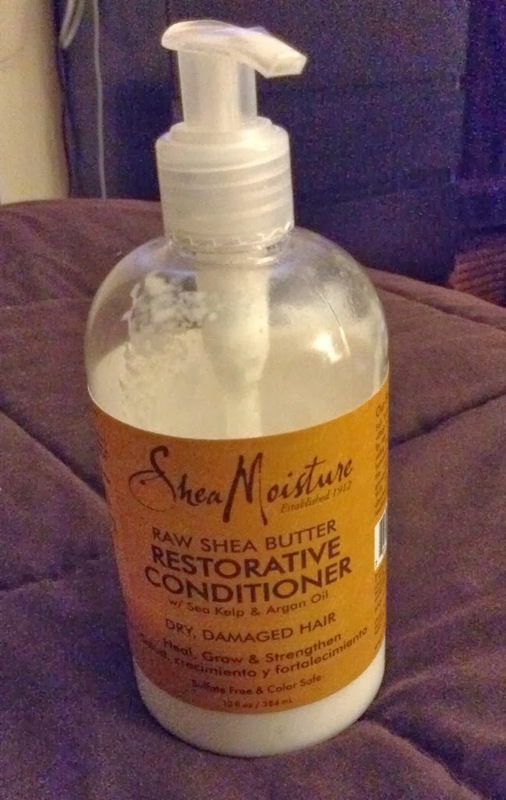 This conditioner is creamy, but it doesn't have a very thick consistency at all. So it was kind of surprising to me that it not only moisturizes my hair very well, but also keeps it moisturized for an extended period of time, especially in comparison with like every other creamy moisturizer I've tried. I like that it's not as heavy,too, because it doesn't weigh my hair down with repeated use throughout the week. It smells like straight shea butter, nothing special to me. I guess if you don't like the smell of shea butter then you won't like the smell of this. It's not a strong scent though and it doesn't linger. 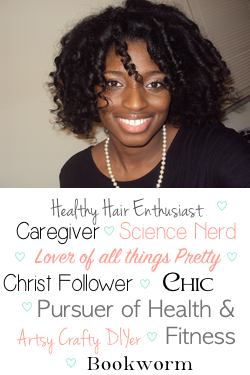 When using it as a rinse out conditioner or as a leave-in, it always sinks right into my strands and gets to work. It's almost time for me to repurchase as I've been using it for a few months now. I consider myself heavy handed when it comes to using products so, when it lasts for awhile AND does a good job with my hair, I think it's worth its cost. Moral of the Story: This is a great leave-in, moisturizer, conditioner! Especially if you have a hard time finding leave-in that produce lasting moisture like I do. Even if you've used the deep treatment masque from this line and didn't like it, you could still fall in love with this product. I recommend trying it out! Has anyone else tried this conditioner? What was your experience?? Great review! I tried this as conditioner as well and my hair hated it as a rinse out (seriously if my hair could speak it would have chewed it out for using this conditioner), but loves it as a leave-in. So now this is my go to leave-in. Oh this is am amazing review! I have been looking for a shea butter based product!